Ernie's in Ceresco and Ernie's Mattress First stores are located in Ceresco and Lincoln, NE respectively. We offer a wide selection of furniture, mattresses, flooring, appliances and electronics from the most popular brands. Come and visit us today! See our exclusive selection on Ashley, Smith Brothers,England, Flexsteel, Sealy, Tempur-pedic, Beautyrest, Serta, Liberty, La-Z-Boy, LEES, Karastan, Whirlpool, GE, Samsung, Sony, Kinetico water systems and much more! Anything carpet is what we do! If you’re looking to spruce up your home or office with new carpeting, look no further. At Creative Carpet Designs, we carry all of the popular national carpet brands, including Beaulieu, Mohawk, and Shaw – all at direct-from-the-manufacture pricing. Looking for that special, one-of-a-kind rug? Creative Carpet Designs can create beautiful handcrafted custom rugs in any shape, color, or size. Want to include beautiful borders and inlays in your area rug or wall-to-wall carpeting? We can do that too. Have an existing carpet that needs re-stretching or repair? 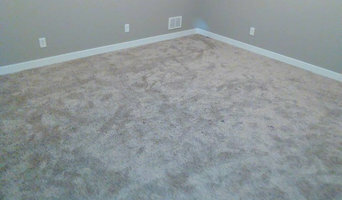 Our expert carpet technicians can make your old carpet look like new. 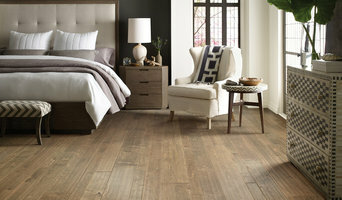 Just In Time Flooring, Inc. Simply Steaming is an owner/operator company. Our owner provides all of our services. We are a BBB accredited business. 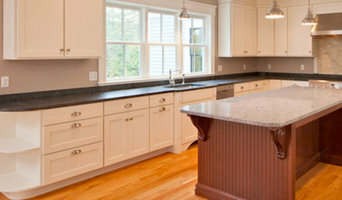 We specialize in every type of floor cleaning and also provide upholstery cleaning. Prosource is a Members Only showroom, dedicated to trade professionals and their clients. Prosource is part of a $5 Billion Dollar buying group, which allows us to have the lowest prices in the marketplace. Prosource has over 150 showroom, in practically every major market in the United States. ¿Qué tipos de suelos hay en Omaha, NE? ¿Qué puedo encontrar en una tienda de alfombras de Omaha, NE? Encuentra soladores y tiendas de alfombras en Omaha, NE. Mejora los resultados de la búsqueda en la sección “Profesionales” incluyendo el nombre de tu ciudad o comunidad autónoma. También puedes consultar las fotos de proyectos de los profesionales de Omaha, NE para encontrar expertos que hayan trabajado en proyectos similares al tuyo.